Your vegetable garden stinks, because it looks messy and is not producing the fruits, vegetables and.or herbs you had hoped it would. Two of just a few reasons why many people give up on vegetable gardening. I have put together some reason as to why your vegetable garden stinks and some solutions that will help. The last thing I want to see is you giving up on your vegetable garden, when the solution may be something simple. I have been guilty of this myself. Most of the time it happens for me because we are coming out of a long cold and/or snowy winter and I am so anxious to get started, I plant more than my property (and sometimes the neighbor’s property) will allow. Solution: Plan ahead. Know what you are going to grow once the weather breaks, and make sure you have the space available to put it there. Even if you are container gardening, you still need some space to put it. So plan ahead. Your neighbor’s garden might look like it should be on cover of Better Homes & Gardens, but rest assured they get weeds just as you do. They don’t have magic soil that prevents weeds from growing, but more than likely they take steps to block as many of the weeds as possible making the activity (chore to some) of “weeding” more bearable. Solution: Use multiple layers of newspaper as a weed barrier and then cover the newspaper with straw. It helps keep the weeds at bay, protects your vegetable plants as well as many other benefits. Your weeding will be at a minimum. One of the major reason’s why many vegetable plants produce little results is that many vegetable gardeners do not plant them in an area where they can receive plenty of sun. Sure, the sun may be bad for us “humans”, but for plants, the more you give them, the better off they will be. Solution: Pick a spot on your property that receives full sunlight throughout the day or as much sunlight as possible. Here are some simple rules of vegetable gardening you can live by to make it easier on yourself. One, grow only the vegetables, fruits and herbs you family will eat. Two, never grow more than what you can handle. Vegetable gardening should be fun not a full time job (unless you want to be a farmer of course). Three, keep your vegetable garden within sight of a window or door. If your garden is out of sight, it won’t be long before it is also out of mind. Mike Podlesny is the owner of Mike the Gardener Enterprises, LLC, the exclusive home of the Seeds of the Month Club, which has appeared on NBC, ABC and MSN Money as a great way for consumers to save money. Perhaps no “weed” is more maligned (or useful) than the dandelion. While some people take pride in spreading toxic chemicals to create a uniformly green lawn, the more natural-minded gardener chooses a different path. There is nothing more beautiful than a green lawn with yellow polka dots. Of course, before those polka dots come into full bloom, it’s picking season. Oh sure, you can head into the grocery story and buy dandelions in the salad section for $3.99 a pound, or even find them by the frozen bag. Why bother? It’s too early in spring here in Western New York’s Zone 5 to get into much serious prep work. The plants are sprouted on the windowsill, not because of a desire for an early crop but because when you are addicted to gardening, it’s important to feed you habit by watching things grow. Meanwhile, out in the yard, the first crop of dandelion greens is ready for harvest. Sautee them with some fresh-picked garlic greens and a little olive oil. Sprinkle with cheese. How can we poison such a delicious lunch? In another month or so, they will be bursting with blooms. Bloom time brings a bitterness out in the foliage, but cry no more. Pick the blossoms and, with some steeping and an added dose of sugar and a bit of yeast you are on your way to a delightful aperitif with a floral bouquet delicious on the tongue. Dandelion blooms are also a delightful and colorful addition to salads and can be battered and fried into fritters. Even dandelion roots are edible, scrubbed clean and roasted. It’s interesting when we think about how resilient and widespread the plant has become to realize it was imported from Europe in an effort to feed honeybees. Another nice thing is that the dandelion doesn’t have any toxic look-a-likes. The earliest of spring flowers, coltsfoot, is an herb introduced from Europe as well. It blooms before showing foliage. Joe Genco is a contributing writer for Mike the Gardener Enterprises, LLC, home of the Seeds of the Month Club. It’s gardening season. The vegetable seeds are coming out of their packets. The rodent and pest protective fences (and other devices) are being hooked up and the anxiety builds to pick that first tomato. Spring is the Super Bowl for us vegetable gardeners as it marks the time when we can get our hands dirty, put the hard work in, all to reap the benefits of a bountiful harvest. Here are 3 tips to get you going as we embark on yet another season in the sun. It doesn’t matter whether you start your seeds indoors or outdoors, how deep you plant your seeds depends on its size. As you may know, vegetable, fruit and herb seeds come in a wide range of sizes, shapes and colors. They can be very small such as the celery seed, up through and including the very large seeds of the Big Max pumpkin. Rule of thumb? The smaller the seed, the closer it should be to the top of the soil. For example, celery seeds can be placed right on top and lightly covered and the Big Max pumpkin seed can be a half inch to as much as one inch deep. Weeds! It’s the naughty word for vegetable gardening because weeds create that extra work that we all want to avoid. There are a couple of things you can do which will limit the amount of weeding you will have to do. You can of course always invest in landscape paper which will keep weeds at bay, but come the end of the season you will have to take it up if you plan on composting in the off season. A better solution, which has worked for me, is using newspaper. Three to five layers of your morning news will help keep those weeds at bay. You put it down just like you would any other landscape fabric. 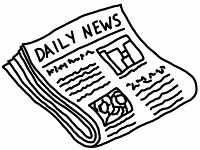 However, most, if not all, of the newspaper will be gone come the end of the year, so there is no extra work. Throw on top of it a 2 inch layer of straw/hay, pine needles or even grass clippings to keep the newspaper covered and of course keep it from blowing away in the wind. You do not need an elaborate irrigation system to garden. Depending on the size of your garden, your watering technique can be as simple as a watering can up through a sprinkler system. For me, I attached a used sprinkler to a wooden post that I have standing in the middle of my garden. I have a garden hose that attaches to the sprinkler and when it is time to water the plants, I simply turn it on. The whole set up cost me less than $5 as I was able to get most of the material from craigslist for free. Your system may be a bit different and will vary depending on your garden size. With a little creativity you can have a cost effective, simple, easy to use watering system that can make your neighbors envious. Mike Podlesny is the administrator for the largest Vegetable Gardening page on Facebook. Join in the vegetable gardening conversation today with your Facebook account and find out how you can get 2 packs of seeds absolutely free. I can almost smell the stuffed cabbage cooking in my mom’s kitchen. It was one of her (and my grandmother’s) best dishes. I am not much of chef so I won’t go into great detail on the recipe, but it was a meat mixture that was wrapped with a cabbage leaf and it tasted great. What made the dish even better was using home grown cabbage that my dad had in the garden outside. Time for stuffed cabbage? No problem, dad went out back and cut some cabbage off (during gardening season of course). My dad grew his cabbage from seed and always leaned more towards to golden acre variety. I never asked him why, but I am sure he had his reasons. 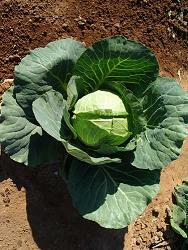 Later in life as I started growing my cabbage, I found it was very easy to start it from seed and reap a great harvest. Here are some tips to start your cabbage from seed. Just like growing anything else from seed it all starts with the prep work. Getting your soil ready during the off season and starting indoors to name a couple. Cabbage does well in cooler temperatures and if you mix varieties you can have fresh cabbage for many weeks. Cabbage is a great vegetable to choose for starting something indoors. To make an easy transition from indoors to outdoors start your cabbage seeds about five weeks prior to the last noted frost date in your area. Starting your seeds in a simple humidity dome or window sill green house structure will help with germination. As the plants get bigger make sure you move to larger pots if frost is still a factor in your area. When planting your cabbage seeds, regardless of whether you start them indoors or outdoors, make sure you do not exceed a half inch in depth. They are fairly small seeds and if you plant them too deep they will never generate enough energy to push through the top soil. A quarter inch deep is ideal. If you are planting your seeds directly outdoors then make sure you space them out at least four inches. Planting a few seeds to a single area will help save on space early and then you can thin them out later. If you are moving from the indoors to the outdoors or thinning them, make sure you give them at least eighteen inches in between plants to grow. Plant in a sunny location and try not to plant them in the same spot every year as they will become susceptible to insect and disease damage. Remember to firm the soil where you plant your seeds and keep them moist but not saturated. Expect your cabbage to reach maturity in sixty to one hundred days. The amount of time will vary on a number of factors. When the head of the cabbage is firm it is time to harvest. Simply cut the head of the cabbage off just below the lowest leaves on the plant. According to the USDA, cabbage is a great source of Vitamin C. You will find, as I have, that growing fresh cabbage in your yard from seed, is a lot easier than you might think. Today I use my cabbage to make cole slaw. What can I say. It’s easy to make and I love the taste. Am I the only one that thinks zucchini grows like a weed? So as long as you give your zucchini ample water and sunshine, it seems to grow like wild on its own and without much help. Not only is zucchini fairly easy to grow, but a couple of plants will give a family of four all of the zucchini it can handle and more. With that said, many people start their zucchini from plants purchased at a local home or garden center, and while there is absolutely nothing wrong with that, you can save yourself and your family money by starting your zucchini from seed. As you will see, it is easier than you think, and the results will be the same. Let’s start with the cost savings. 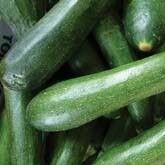 One zucchini plant (depending on how mature it is) can cost anywhere from $0.50 to $3.00. Of course there are a variety of factors that play into that cost, however, a pack of about 20 zucchini seeds will run you anywhere form $1 to $3. Again costs depend on a variety of factors, such as organic or non-organic, seed companies and so on. Already you can see the savings, and in today’s economy every little bit helps. 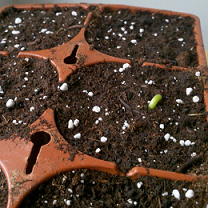 The best place to start your seeds are indoors about two to four weeks prior to the last frost date in your area. What you will need is a window sill that receives plenty of sunlight. To ensure the success rate of your seeds you can invest in a humidity dome or make your own. This will help keep your seeds in a constant temperature even when temps drop in your house overnight. Many people use heating pads and grow lights to give their seeds that extra push, all items which work great, but if you are on a budget, time is your best investment. Zucchini seeds are fairly large, therefore can be planted a bit deeper than say a tomato seed. Push the seed into your starter soil about an inch down. Now that your seeds are going you should be concentrating on getting their final growing place prepared for their arrival. Of course this is something that you should be working on throughout the year with composting methods, but you can still get it ready in time. The pH level of your soil should be a bit more acidic in a the 6.0 to 6.5 range. If you find your soil to be a bit more alkaline (over 7.0 on the scale) you can use a number of products to reduce that level such as organic mulch or sphagnum peat to name a couple. Zucchini love the heat so about a week to ten days prior to moving your plants outdoors you will want to “warm” up the soil, especially if the temperatures in your area are still a little on the cooler side. The best way to do this is to cover the area with 6mil clear plastic tarp. Your seeds are now plants. They are thriving and are ready to be moved to the outdoors. Your soil is ready to go at the correct pH level and the soil is the right temperature. So now what? You want to give your zucchini enough room to grow and thrive. Zucchini plants can get fairly large so make sure that when you plant them you space them out at least eighteen inches. You might be able to get away with twelve, but that would make it very tight. Make sure you zucchini plants receive plenty of water and plenty of sun. They require lots of nitrogen so do not be afraid to throw some fresh grass clippings around the base of your plants every so often. There are also plenty of organic fertilizers on the market that you could use as well. 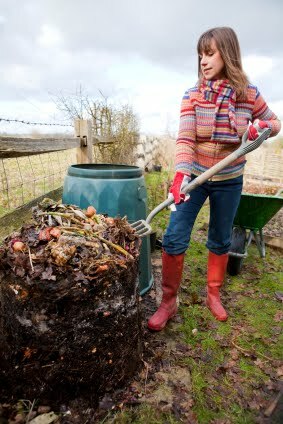 Of course, if you added compost to your soil throughout the year, these steps would more than likely, not be necessary. The last time I looked, zucchini runs about $1.29 per pound. Which is about one and half of store bought zucchini (your store’s selection might differ). If you have ever grown zucchini then you already know one plant will produce ten times that, sometimes even more....a lot more! Just make sure you cut off the zucchini when they reach twelve to fourteen inches in length. If they get too long they will be very seedy. Now go out there and grow six zucchini plants. You will be able to feed your family and possibly the entire neighborhood! 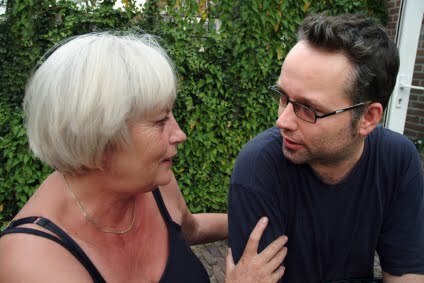 Picture this hypothetical conversation of two people and how it relates to sustainability. Sure the purists out there will fill in the blanks to this conversation, and that is great, because the more we discuss the topic, and the more information that gets inputted the better decisions we can make. An obvious and straight to the point conversation, but I am sure you get the flow of where it’s going. Think to your own garden and how you can make some of the items you currently pay for, free. It’s out there, you have to look. The more you can make your garden low cost, or as close to free as possible, the more sustainable it will be. In today's first news we have some great information for varying levels. If you are just starting out we have a how - to from my home state, New Jersey. If you are looking for something a little more advanced, crop rotation comes in from Miami today, and if you are a tomato enthusiast, (and who isnt? ), we have an article completely dedicated to that wonderful vegetable, er um I mean fruit, I mean vegetable...you get the idea. Nothing grows on the dark side of the moon. Come to think of it, nothing grows on the moon at all, but sometimes it feels like we’re planting our gardens in outer space when seeds don’t sprout, tomato plants don’t grow, cucumbers become infested with worms and the lettuce wilts. Even the most cold hearted gardener has to fight back tears when his or her plants decide to take the eternal dirt nap. So it’s early in the gardening season. Most people haven’t even planted their first round of crops (save for the lucky ones in the southernmost regions of the States). But the looming fear of failure is already a palpable force for gardeners of every skill level. Between unassuming little bunnies and microscopic bugs, between nitrogen and potassium, there are so many unknown variables. And when the first seeds do sprout (they do for everyone but the most unfortunate gardeners), people everywhere will scratch their heads in wonder, “They do it every year, and it always comes as a surprise.” Green life breaking forth from the ground is a joyful mystery. Before everything gets hot, sticky, bug riddled and crusty dry, gardeners may want to take this last moment to envision the glories of first sprouting. Harvest is a long time away. With it, the sadness of yet another winter comes. In the meantime, we’re all entering into the best season. Spring has sprung. It’s the only time of year—the middle two weeks of March—when people can see the red breasted robin flying dodging zags through falling snowflakes. The herald of spring has sung her sweet song, and though in some places, snow may be reluctant to pack his bags and leave, the trees will soon sprout their leaves and pour sap. The ground will thaw. This is our time. Check the thermometer. There isn’t need for a motivational speaker. Planting is what we do. It’s what we’re about to do. We’ll dust off the blueprints and check each garden bed. We’ll double-check every plan to see that the crops are properly rotated. We’ll thumb through the seed packages. The heat lamps and UV bulbs are about to be extinguished. The seedpods that have been sprouted ahead of time are trembling with excitement to meet the outdoors. Everything is in rhythm. Gardening is not a race. It is not a competition. The garden is a lovely, lively expression of life. So we’ll let it live the way we ourselves want to live, enjoying every moment. Here’s to a fruitful sprouting and to forgetting about harvest, slugs, rabbits and a sweaty beating sun. June is a fine time to take stock of all those troubles. April is made for smiles. Jody Sperling is a contributing writer for the largest Vegetable Gardening page on Facebook. Join in the vegetable gardening conversation today with your Facebook account and find out how you can get 2 packs of vegetable seeds absolutely free.